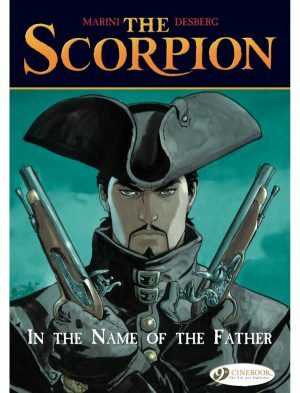 Originally a Franco-Belgian comic series, The Scorpion was translated into English by Cinebook eight years after the original release in 2000. Writer Stephen Desberg teams with artist Enrico Marini to give readers an action-packed adventure that questions the relationship between good and evil. 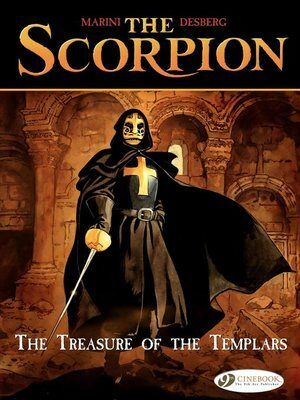 Set in Renaissance Rome, the protagonist Armando ‘The Scorpion’, named so because of his animal-shaped birthmark, becomes a target hunted by the Catholic church led by Cardinal Trebaldi and his army of warrior monks. Marked by sin, Armando is the son of a convicted witch who years ago was burned at the stake by the church for coercing with a priest. After Egyptian poison-master Mejai attempts to kill Armando on command of the Cardinal, the truth behind Armando’s heritage and connection to the church become more deeply entwined. 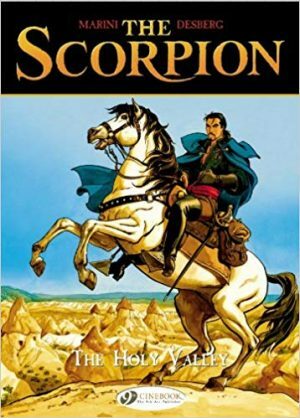 The Scorpion, alongside his trusty sidekick Hussar, must fight to survive against the onslaught of Trebaldi’s quest for blood and uncover the sinister motivation behind his plans. Desberg’s storytelling is fast-paced and action-filled with splashes of comedy thrown in (mainly through Scorpion’s sidekick). It blends well with Marini’s varied palette, each page offering a different layout perfectly shifting the pacing of the story, and unlike most English language graphic novels, in the European fashion it’s Marini the artist credited first on the cover. 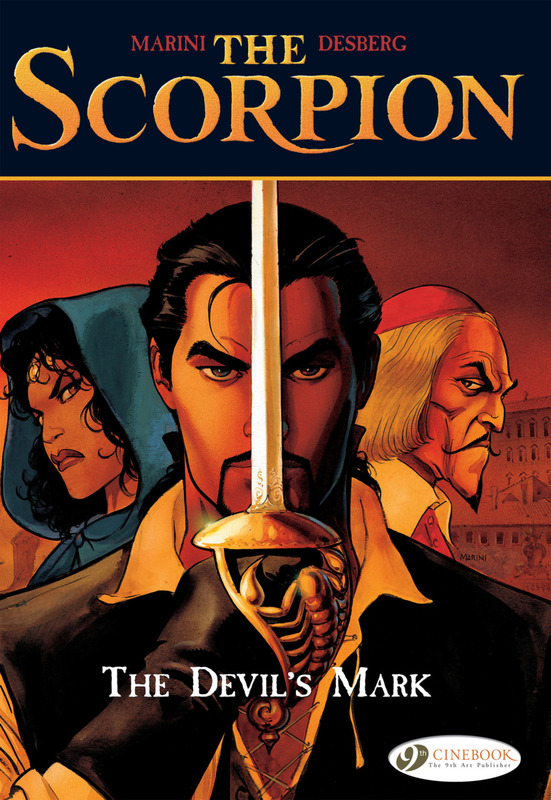 Indeed, as good as Desberg’s writing may be, it is Marini’s artwork that truly makes The Scorpion stand out. 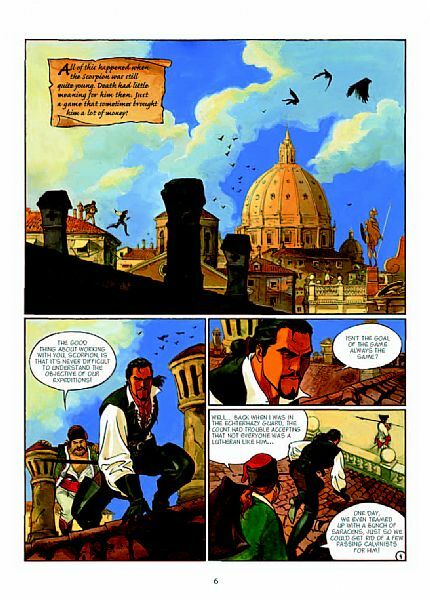 No one page is ever the same as Marini experiments with style and form with larger panels given to glorious watercolour landscapes of Rome, to smaller sequenced panels between character action and dialogues. The variety makes each page feel refreshingly unique. That’s reinforced by the colouring, of fantastic quality, a beautiful painted style that shifts between the warm tones of the sunlit Italian capital, to cooler blue tones of the city by night, to the forest greens and meadow yellowed fields of the countryside. Marini’s art compliments and intensifies the immersive twists and turns of the story. This first English language edition combines the opening two French graphic novels, albeit shrinking them from album size. The first introduces the main characters, sets the scene and leaves readers curious for more, circumstances unravelling after Mejai attempts to murder Armando. The second unveils that the hunt for the Scorpion is part of a larger and darker scheme that the hero finds himself entangled in. The creators have set up an interesting world and despite the historical context its themes are just as relevant to questions of morality and religion today as they were in the 18th century. 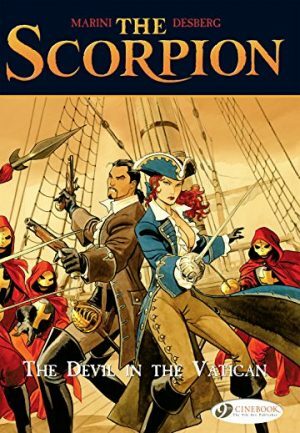 The narrative is engaging and immersive, but the wonderful art of Marin alone is reason enough to delve into the world of The Scorpion. The Devil in the Vatican is next.